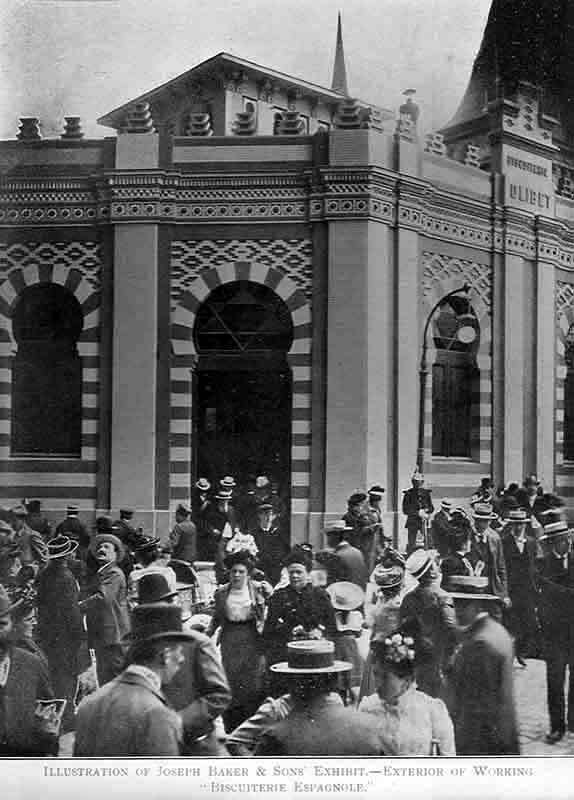 An important part of the life of any world-class manufacturing company was, and perhaps still is, attendance at the many International Trade Fairs that take place around the world each year. Involvement is truly part of the company's life because as soon as one major exhibition closes preparations begin for the next. Attendance, though very costly, is effectively mandatory as it is often the only occasion when existing and potential customers from around the world are able to examine the latest machinery and process developments. Expectations are high, particularly on the market leaders, so economising on investment is not an option. The size and quality of the stand, and the level of corporate hospitality, is expected to reflect the perceived market status of the exhibitor. 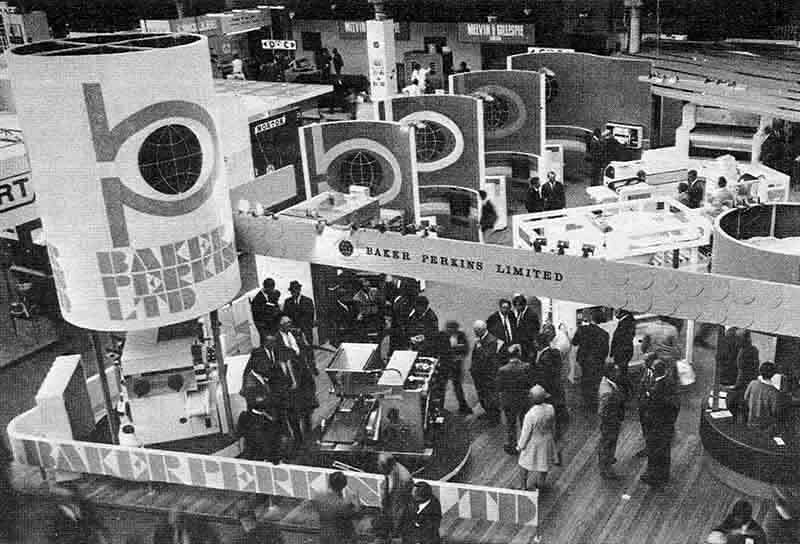 Baker Perkins, as a market leader, participated fully in all relevant Trade Fairs - showing Biscuit/C+C, Bakery, Printing, Laundry, Foundry and Chemical process machinery - particularly in the highly competitive years between the end of WW2 and the time that Westwood Works closed. 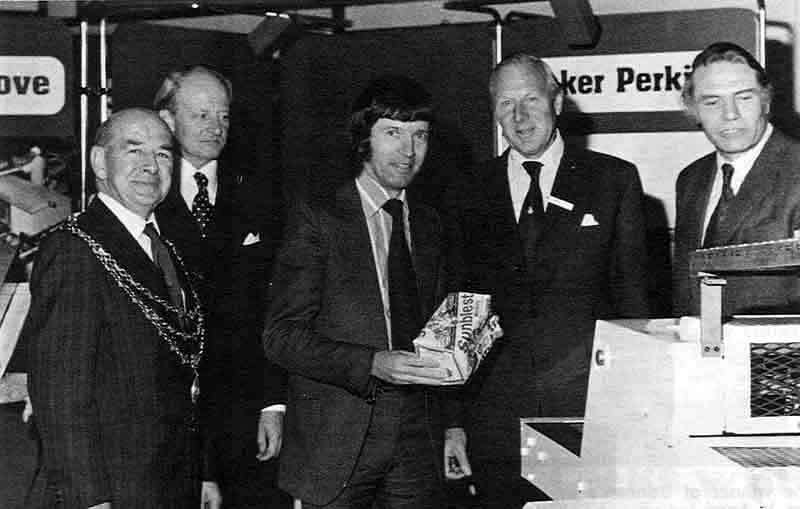 "Our tale of Co-operation in the great exhibitions of the world goes back for over 40 years. 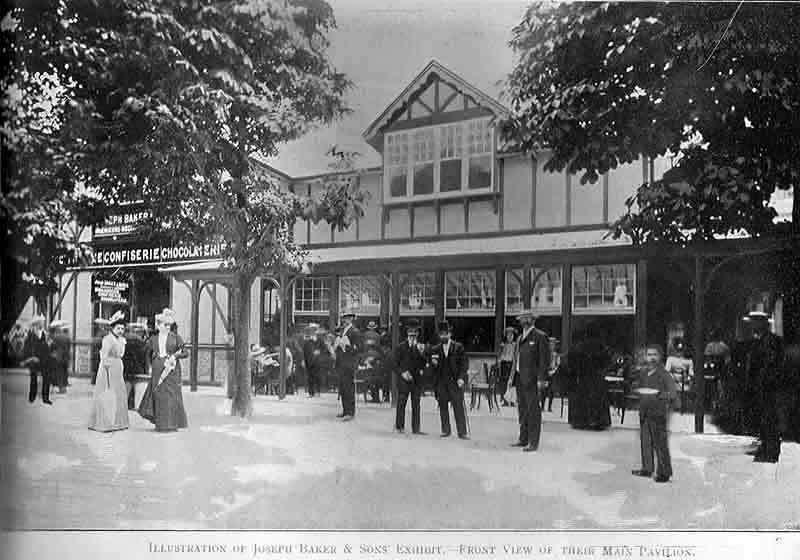 Small when our business was small, our exhibits have grown as we have done, and many of our friends will remember the record of progress shown from the 'Healtheries' of 1882, through Paris, Chicago, Paris again, and St. Louis, to those London exhibitions which immediately preceded the war". The expenditure involved in these exhibitions must have been of a very high order. 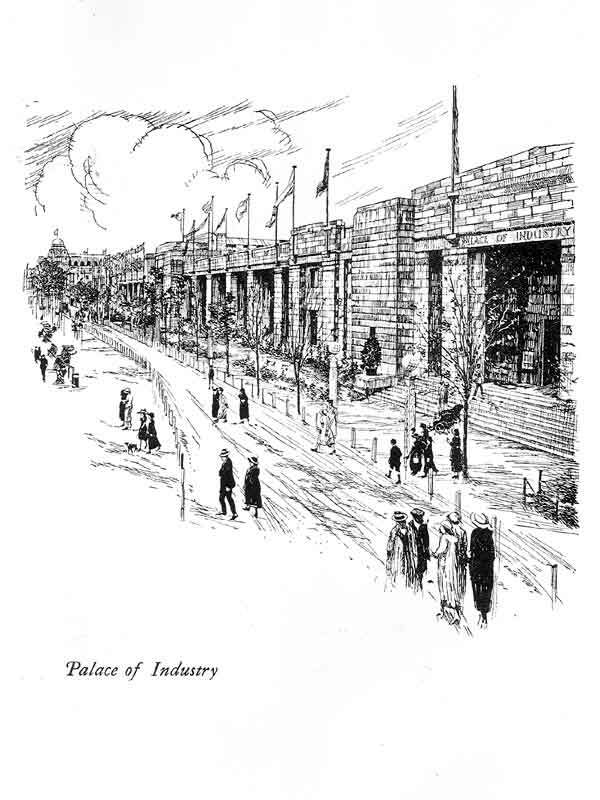 The Paris 1900 and Wembley Exhibitions featured complete working "factories". 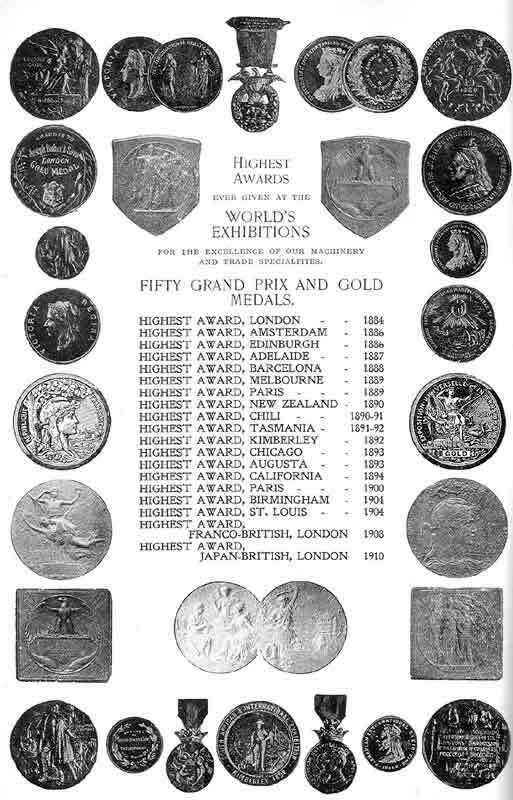 By the time of the 1910 Japan-British Exhibition in London Joseph Baker & Sons had already been awarded 50 Grand Prix and Gold Medals at Trade Shows around the world. 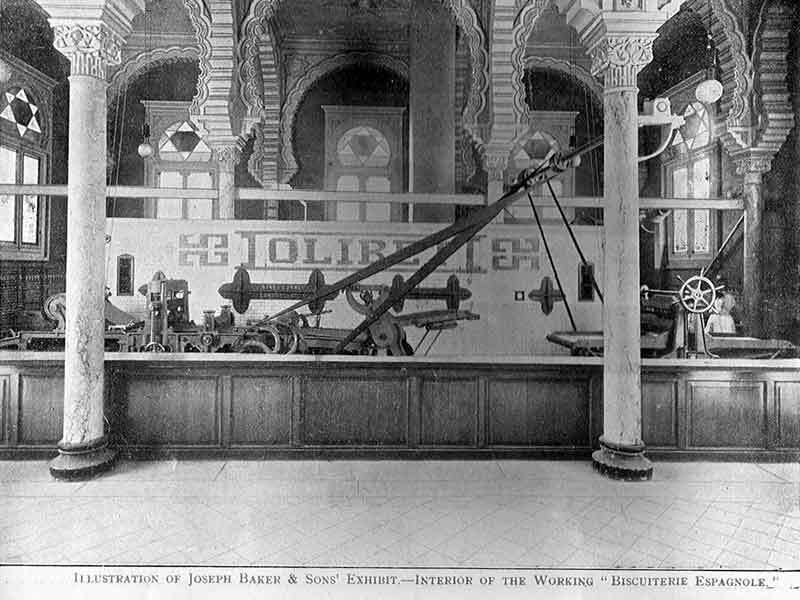 This lists the Exhibitions attended by Joseph Baker & Sons between 1884 and 1910. Werner, Pfleiderer and Perkins agreed to supply, gratis, a complete baking plant installation. Although the company undoubtedly gained something in prestige with sales increasing by £4,000 the following year, Paul Pfleiderer's eye had been taken off the financial ball and the company was found to be making a loss. 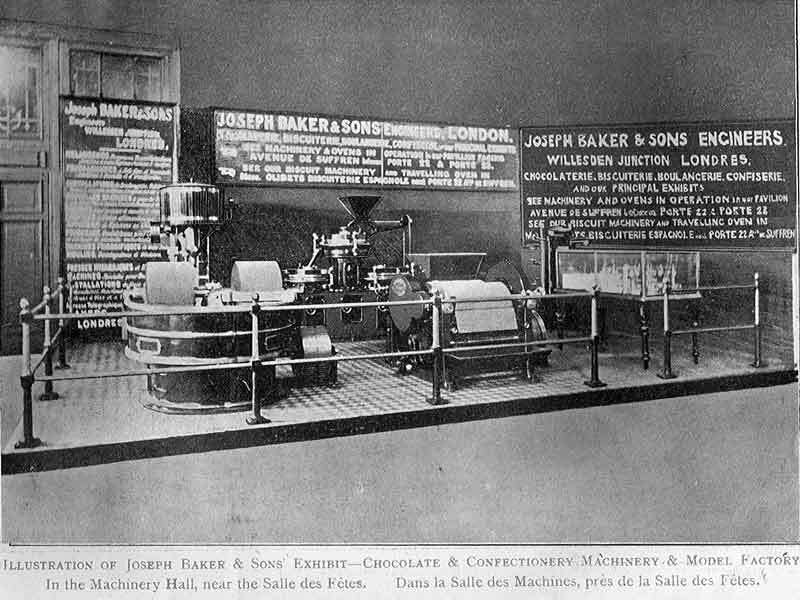 Joseph Baker & Sons had three separate exhibits, each in its own pavilion, covering Bread, Biscuit, and Chocolate & Confectionery equipment. 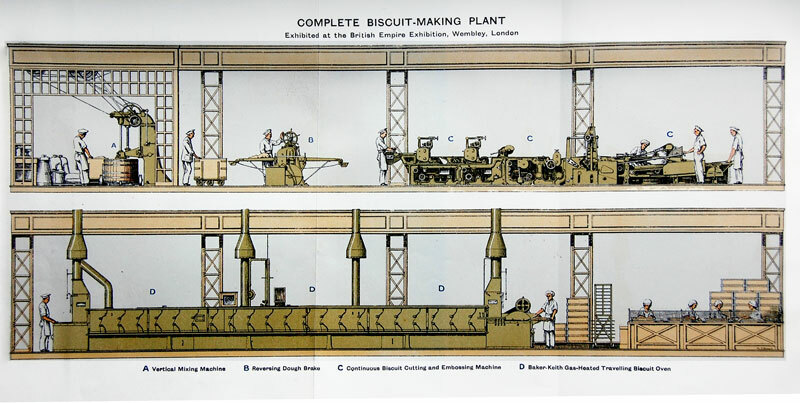 All were working - driven by overhead lineshafts and drive belts - the biscuit "factory" being worked in association by Messrs, Olibet et fils, a leading biscuit manufacturer. It would be very interesting to have some idea of the cost of all this! 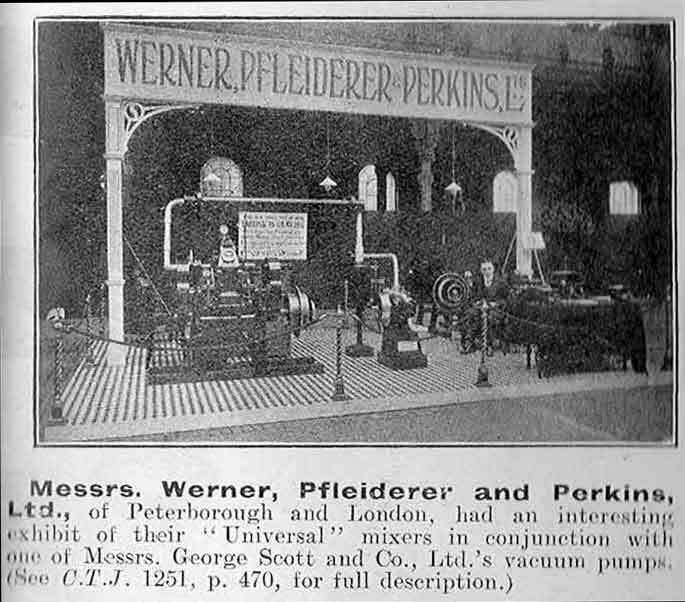 Werner, Pfleiderer & Perkins exhibited their "Universal" Mixers. Although the stand might be described as a modest display, it does not seem out of scale with others at the Exhibition. The venue - the Royal Agricultural Hall - perhaps imposed its own limits on stand area. 1924 - The newly developed combined swing tray prover and bread oven for "tin" bread was the highlight of the bakery equipment show. 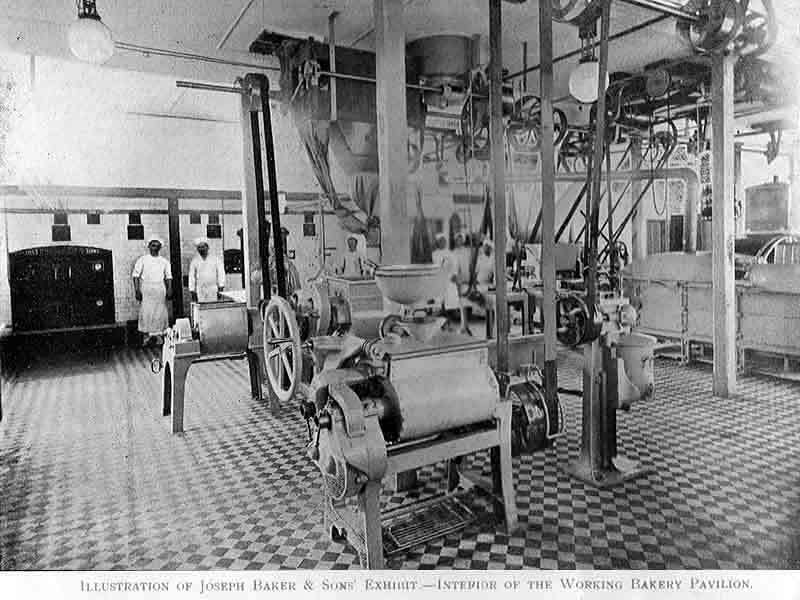 The plant being demonstrated was complete from the flour-blending machine to the wrapping machinery, it being the first time that the public had been able to see loaves being wrapped. 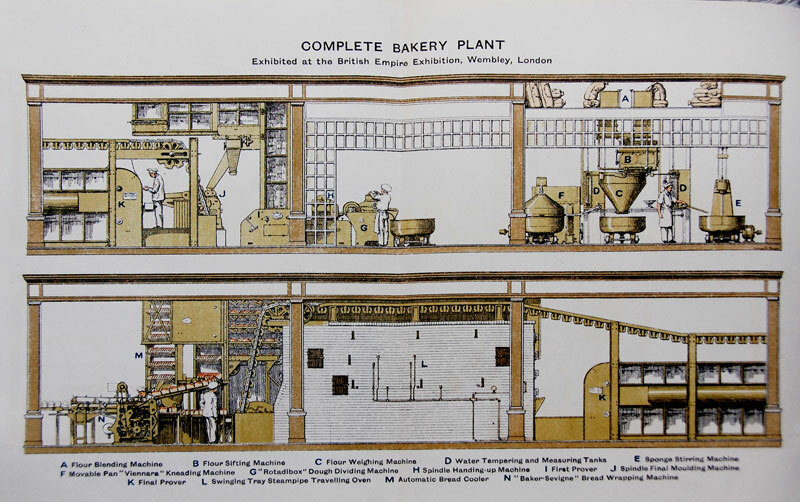 I was a clear demonstration that Baker Perkins had fulfilled its promise to ensure that the " old drudgery and dirt of the bakehouse would give way to the cleanliness of mass production". 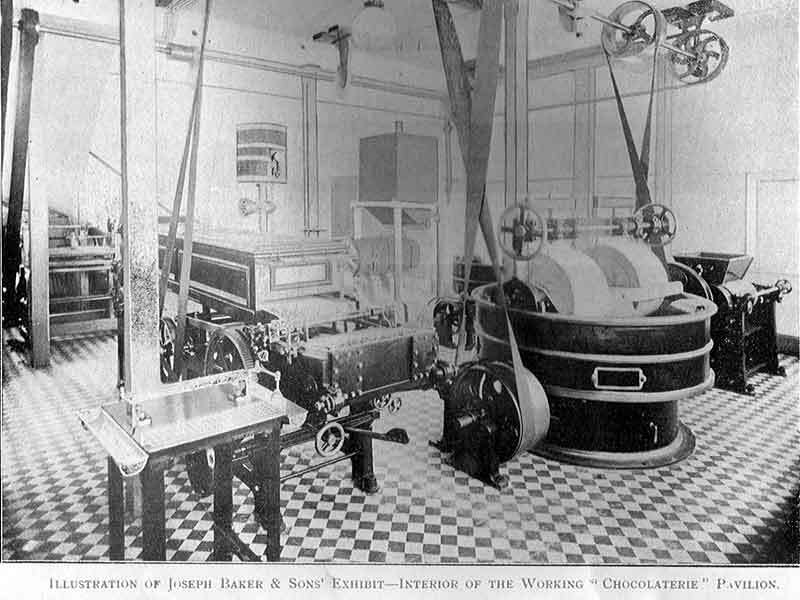 New improved equipment for cutting and embossing biscuits and an improved gas-fired travelling biscuit oven were worked in turn by Huntley & Palmers, Peek Frean and W. & R. Jacob. 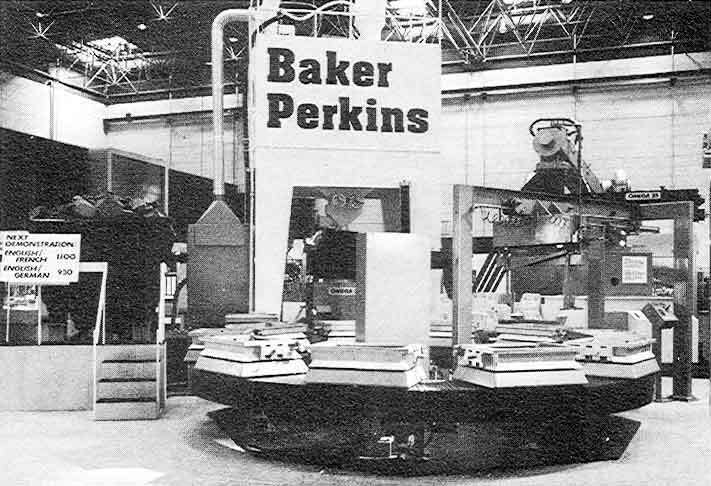 These innovations led to Baker Perkins having an almost complete monopoly of the gas-fired chain-oven market in the decade following the Exhibition. 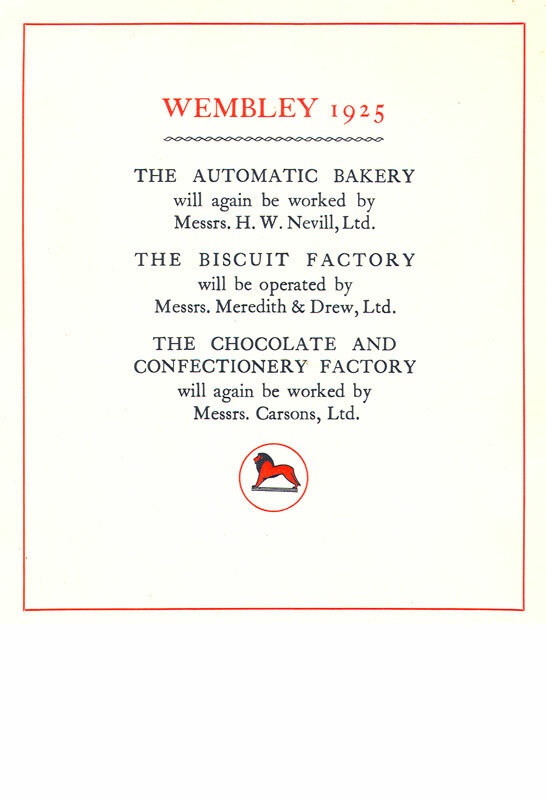 1925 - In the Long Gallery of the Palace of Industry, Baker Perkins demonstrated fully working Bread, Biscuit and Chocolate & Confectionery factories. These operated, as closely as possible, under factory conditions with the co-operation of key food manufacturing companies such as Messrs. H.W. 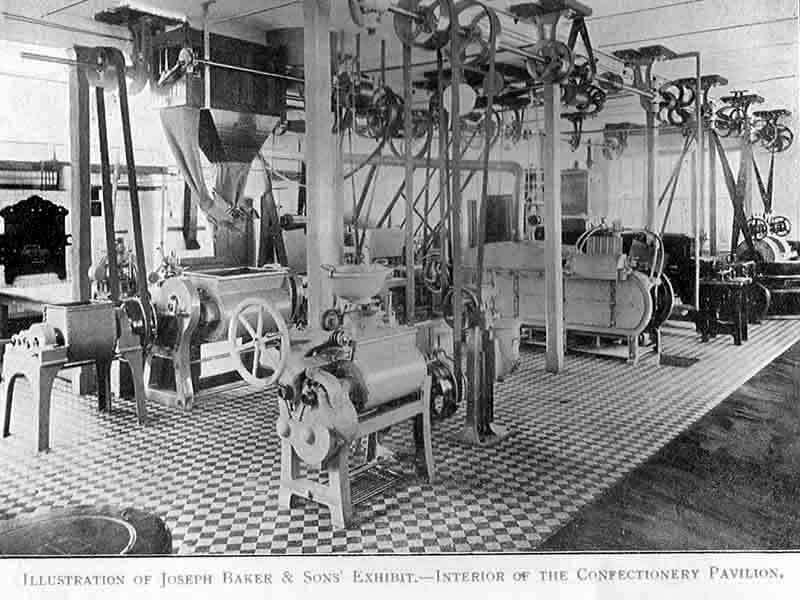 Nevill Ltd, Messrs. Meredith & Drew Ltd and Messrs. Carsons, Ltd.
More Baker Perkins equipment was used in the Australian Pavilion as part of the Australian Government Bakery exhibit that was used to display the merits of Australian flour, butter and dried fruit. Products from all of these exhibits found a ready sale among the thousands of visitors. The Exhibition Brochure also indicates that although it was not possible to make an adequate exhibit of the company's specialities for the Chemical Industries, some mixers and relevant photographs were shown on the Institution of Chemical Engineers' stand. NOTE: Some insight into the mood of the Westwood employees and management at this time - the aftermath of the "Great Fire of 1922" - can be found in Outings, the preparations for company employees to visit the British Empire Exhibition. 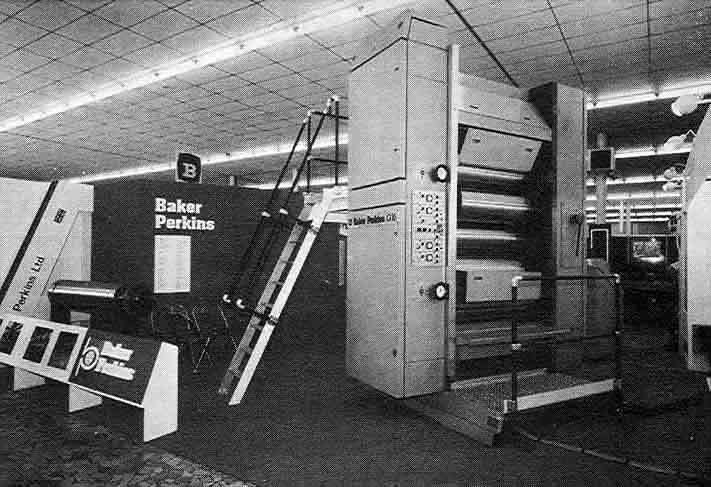 In a development aimed at increasing the number of potential customers who could see a printing press in action, Baker Perkins chartered an aircraft to fly between Paris and Coventry during the whole of the exhibition period. Printers interested in web-offset could visit the offices of the Coventry Standard to see the publication being printed in colour on a "Halley-Aller" press. 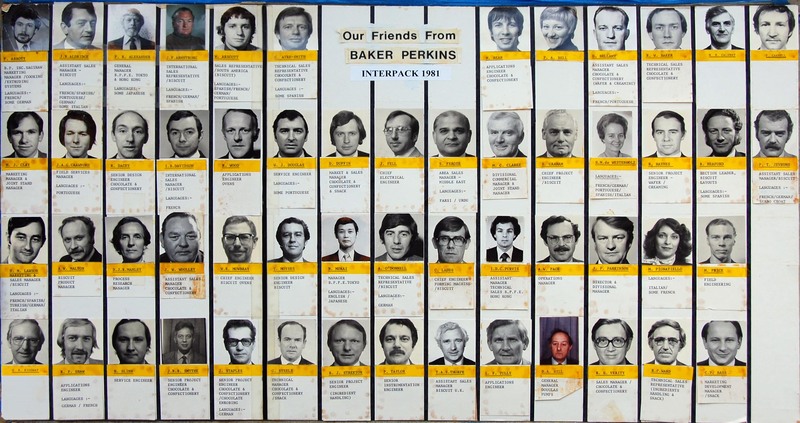 There follows a series of photographs of Baker Perkins Exhibition stands at some of the major International exhibitions from between 1969 and 1986. 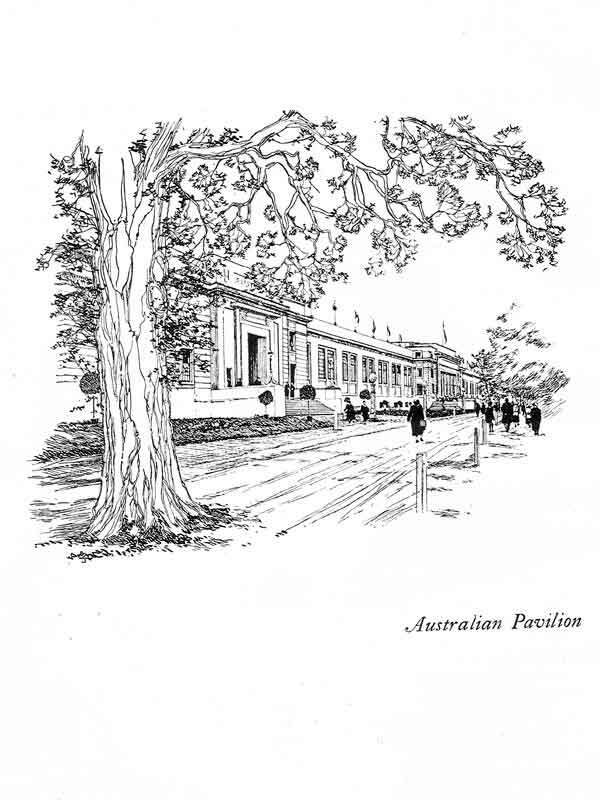 Each section of Industry had its own International Exhibition that took place at anything from a one to four year interval. 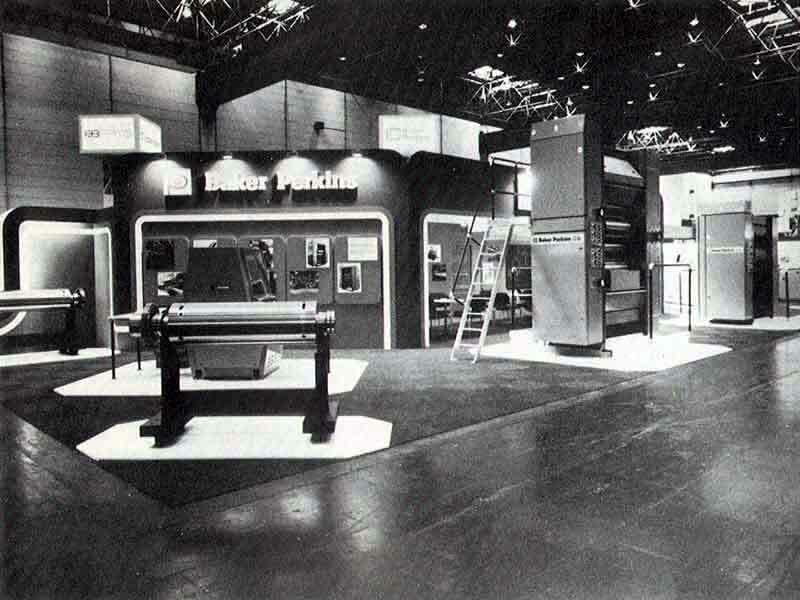 These Exhibitions are massive undertakings, the printing machinery show - DRUPA - held in Dusseldorf, Germany in 1982 consisted of 13 halls, plus innumerable add-on marquees and temporary buildings, and featured 1,024 exhibitors. The influx of up to around two hundred thousand visitors to each event had a very significant effect on the economy of the City. The Dusseldorf Exhibition Centre, in common with other major venues around the world, usually holds one major exhibition per year - one other of significance to Baker Perkins being INTERPACK, where biscuit, chocolate & confectionery and packaging equipment is to be seen. Although these major exhibition centres in Germany, France, Japan, the USA, and elsewhere, are custom built - with all the necessary equipment and services to allow very large pieces of complex process equipment to be demonstrated - exhibitors must often begin to install their machines in the show halls up to 3 months before the exhibition begins. Success at a major exhibition can be measured only partly in terms of what orders are taken at the event. 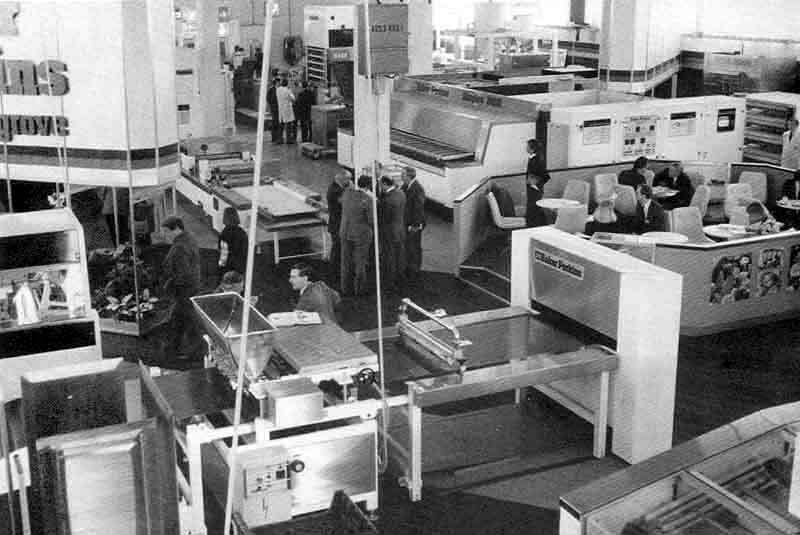 Despite the fact that some high-profile orders were announced to coincide with the show, investment decisions in the process engineering business are made on a long-term basis and a customer's plans are often not finalised until after mature reflection on all that he has seen at these exhibitions. What this indicates, however is that trade shows were one of the most important events in Westwood's calendar. The Dusseldorf Exhibition Centre, in common with other major venues around the world, usually holds one major exhibition per year - one other of significance to Baker Perkins being INTERPACK, where biscuit, chocolate & confectionery and packaging equipment is to be seen. INTERPACK was born of the recognition in the 1950s that packaging was vital to the continued growth of trading and the perceived need to have a major exhibition that catered specifically for the packaging industry. 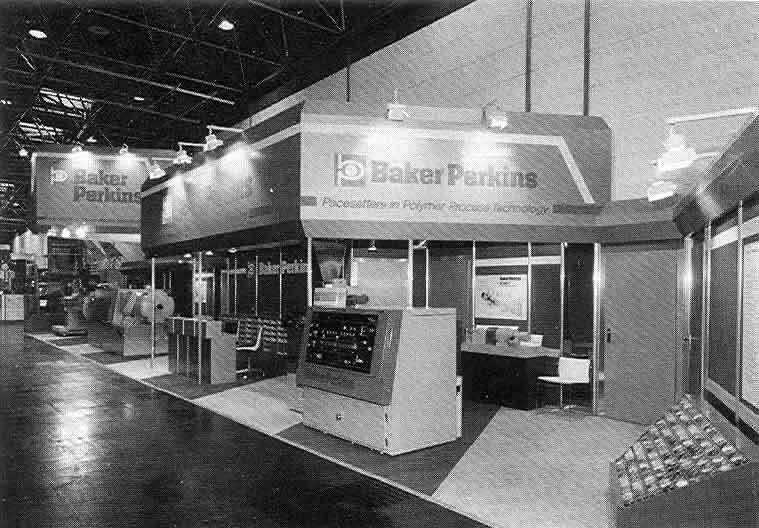 The first INTERPACK opened on 2nd March 1958 with 255 exhibitors, including Baker Perkins/Rose Forgrove, and Baker Perkins have exhibited at each INTERPACK ever since. At the time, the intention was to hold the fair every two years. but in 1960, the interval between fairs was extended to three years. 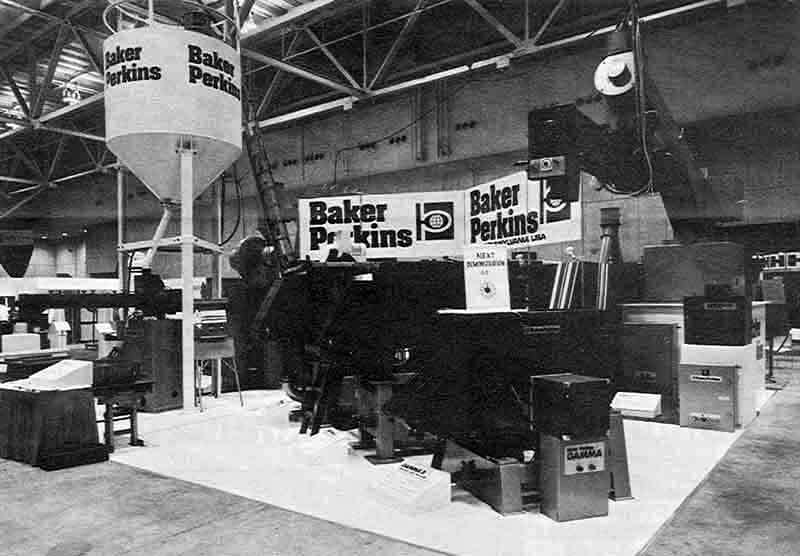 Until 1978, Baker Perkins shared a stand with Rose Forgrove but, from 1981, the companies showed their products separately on two of the largest stands at the show. 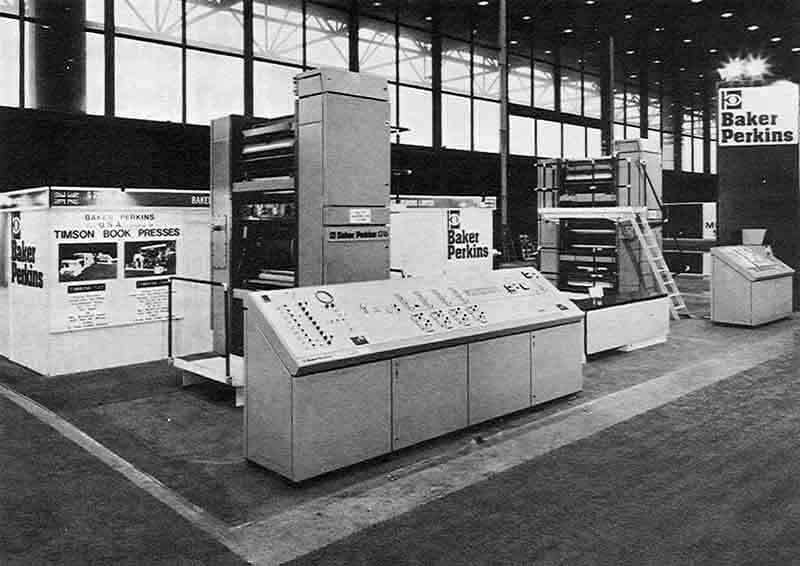 These occasions were often used to launch a new machine or process development - the high-profile event providing an opportunity to both impress the customers and wrong-foot the competition. 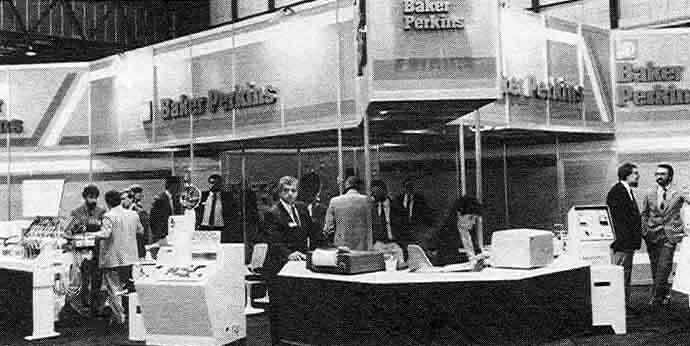 The people from the Biscuit and Chocolate & Sugar Confectionery Division that manned the Baker Perkins stand at "INTERPACK", Dusseldorf in 1981. 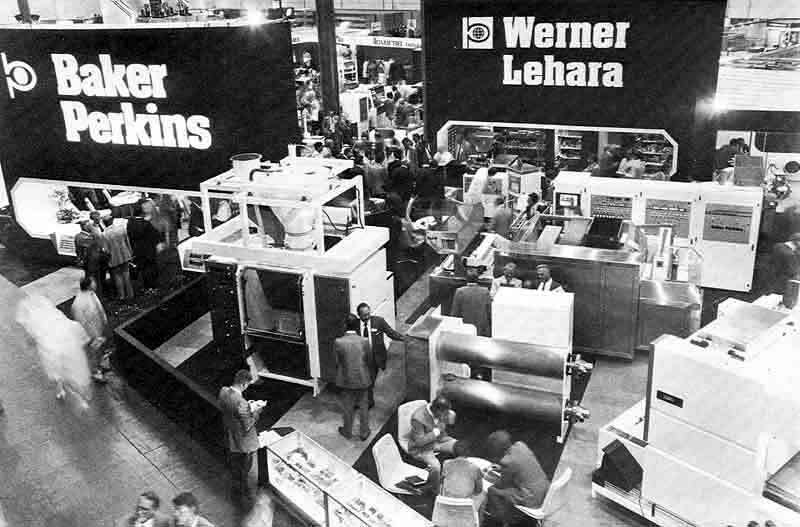 INTERPACK 1984 was notable for the inclusion on the Baker Perkins stand of equipment manufactured by Werner Lehara. a company based in Grand Rapids, Michigan, USA that had been acquired by Baker Perkins in July 1978.This acquisition had added significantly to the Group's capability in the Snack Food market sector. 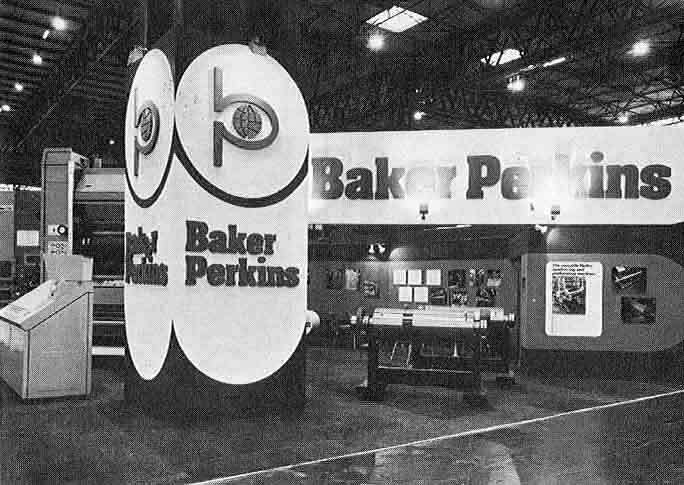 IBA was inevitably high on Baker Perkins' list of exhibitions in which to participate and its display reflected the Company's marketing priorities at the time. 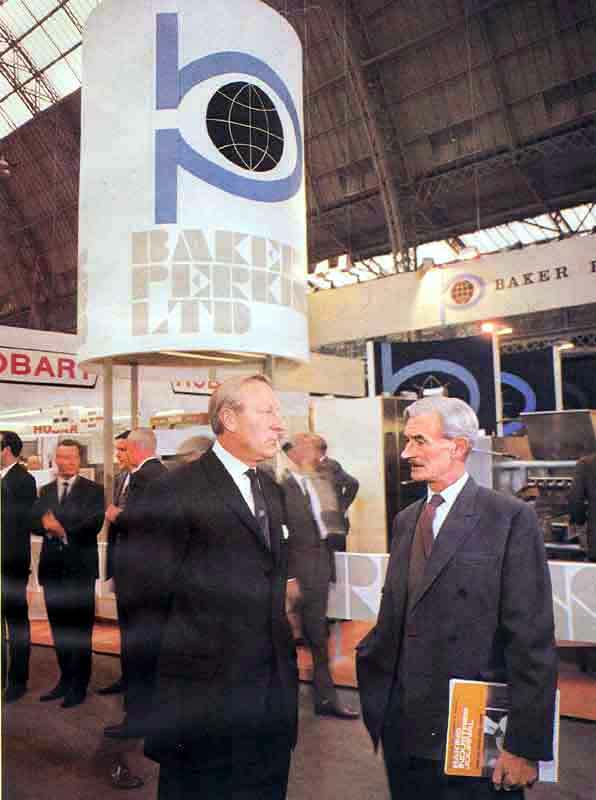 The 1983 exhibition was identified as the event at which, for the first time, a range of new products aimed at underlying the Bakery Division's capability to satisfy the needs of important areas of the European market were put on international display. "To present a European face as opposed to our traditional UK orientation"
"To present Advanced Technology - In conceptual design and design technique and the application of microprocessors." To present a high quality food industry image in then equipment we offer - use of stainless steel plus detail design for hygienic operation." 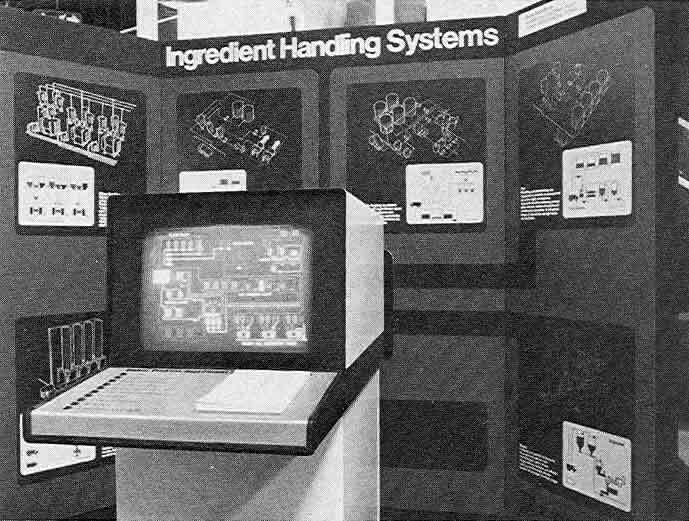 The Division's Stand contained some 23 machines - including 3 Rose Forgrove packaging machines - from mixers to bread conveyors. 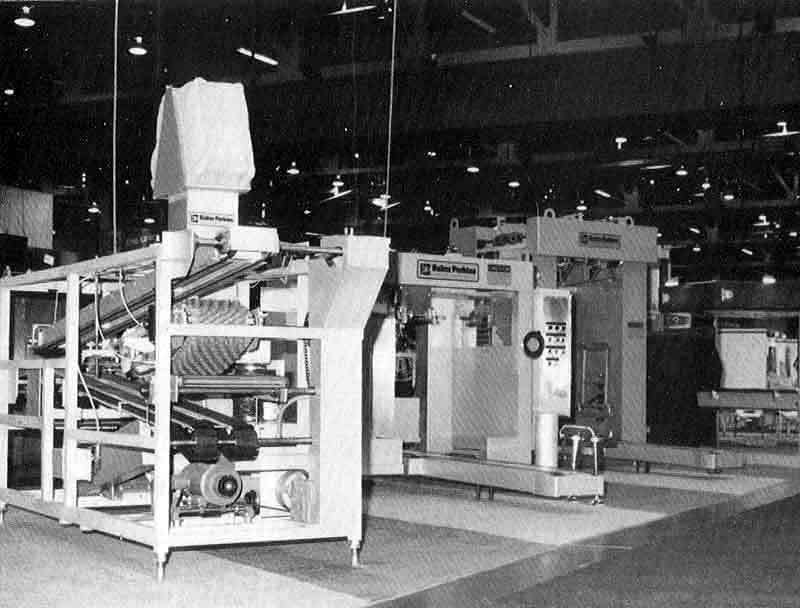 New microprocessor control systems were demonstrated and a roll divider/moulder manufactured hamburger and Schrippen rolls at intervals during each day. 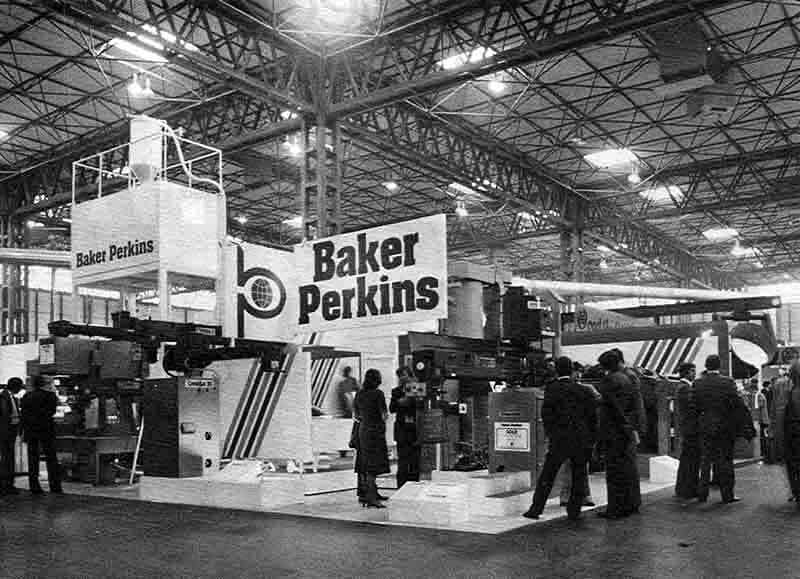 It was estimated that the Baker Perkins Stand had over 2,500 visitors from more than 50 different countries during the 7 days of the Exhibition. 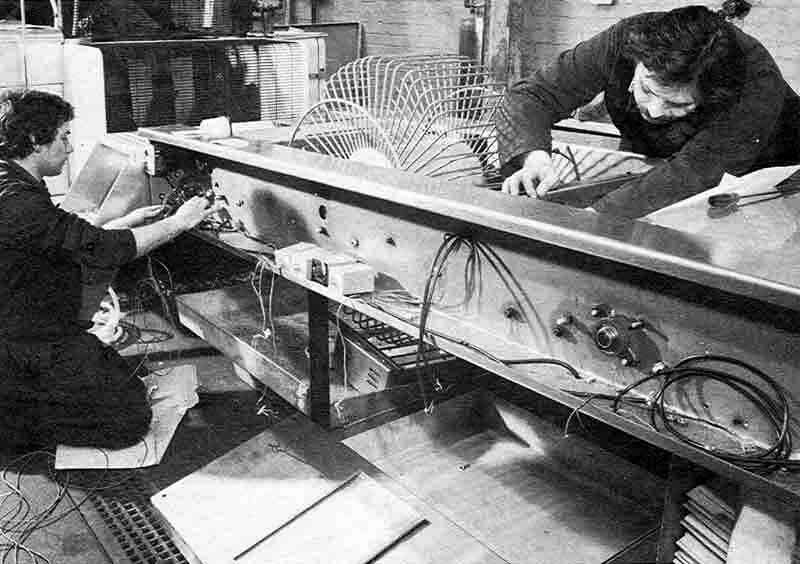 Howver interesting this 1980s development of having working equipment on the exhibition stand might be, it is sobering to go back a century earlier to the days of Joseph Baker & Sons and A.M. Perkins & Sonwhen complete working bakeries were an essntial part of participation at the major Expos. 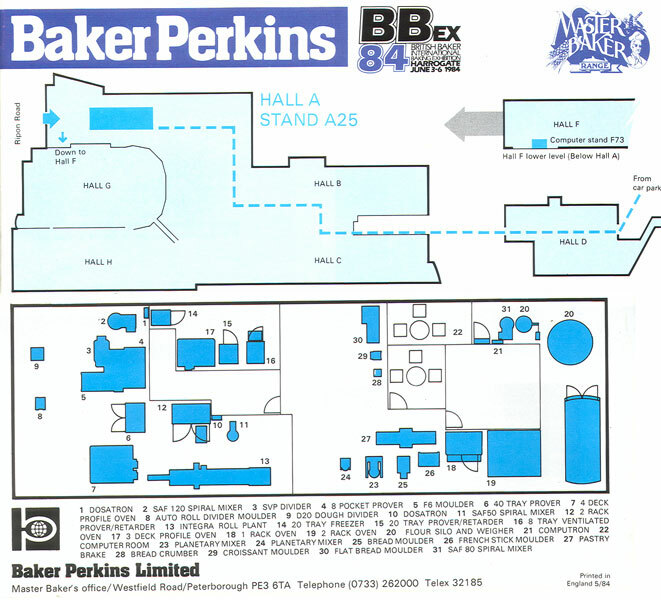 BBex 1984 brochure showing the range of equipment available from the Baker Perkins Group for the artsan, specialist and supermarket baker.